image by David Goehring (lic)What is Attention Deficit Hyperactivity Disorder - ADHD? Adrian is a 7-year-old boy. He is making his second attempt to pass the first grade. He is halfway through the school year, but still hasn't improved very much. His teacher, Ms. Carter, taught Adrian in her classroom last year and now again this year. Ms. Carter is a young, enthusiastic teacher. She has actively worked with Adrian to improve his ability to pay attention in class. However, she is now asking for help because she has seen little progress for her efforts. Adrian is an energetic boy who talks almost constantly. He talks over other children. He forgets to raise his hand. He interrupts his teachers during classroom lessons. He has trouble sitting in his seat and frequently wanders around the classroom. He is unable to read or to complete his math problems. These difficulties occur because he can't stay on task long enough to benefit from the lesson. His unruly behavior is taking a great deal of Ms. Carter's time. Meanwhile, his need for extra attention is interfering with other students' learning opportunities. Adrian is a kind boy, who often engages other children in a friendly manner. However, Ms. Carter has noticed the other children are becoming annoyed by his disruptive behavior. They have begun to avoid him. Ms. Carter is deeply concerned about Adrian. She knows that if these behaviors continue, Adrian's self-image will plummet as the other children reject him, and school failure continues. Adrian's parents are similarly discouraged. They have two other children at home who don't get into trouble and make good grades at school. His parents work hard to provide a supportive environment for Adrian and try to help him with his homework. They have tried many different strategies. However, nothing seems to work. They are becoming increasingly frustrated and worried. They care deeply about Adrian and want him to succeed. Unfortunately, his out-of-control behavior and his inability to pay attention, have created a chaotic home life that is disruptive and unpleasant for the entire family. Both parents acknowledge that at times the situation seems hopeless. Although they feel protective of Adrian, they are also desperate to find help for him. As a result of Ms. Carter's request, the school called a meeting to bring all the adults together to discuss Adrian's situation. They agreed to ask a psychologist to conduct an evaluation of Adrian and discussed the need for an Individual Education Plan. The psychologist met with Adrian, his parents, his teachers, and his physician. Adrian was evaluated in each of his typical environments. During this process, the psychologist worked diligently to obtain input from the adults involved with Adrian's education and care. The purpose of this thorough evaluation was to obtain as much information as possible from many different perspectives (caregivers, teachers, doctors, etc.). This enabled the psychologist to develop a diagnosis and a comprehensive treatment plan. Based on this evaluation, Adrian was diagnosed with ADHD. Then, the psychologist helped the adults work together to develop an individualized plan to meet Adrian's special needs. This type of plan is commonly called an Individual Educational Plan (IEP). The IEP had many different elements. The parents took Adrian to his pediatrician. Adrian's doctor prescribed stimulant medication to help improve his attention skills. Adrian's parents were initially reluctant to use medication. However, the situation had deteriorated so much they were willing to give it a try. They also took a parenting class to learn behavior management skills. These new skills enabled them to create a more structured and consistent home environment. Furthermore, these skills allowed Adrian's parents to work more calmly with him. They learned to reward positive behaviors, while attempting to ignore (not reward) the negative ones. Adrian did his part as well. He participated in group therapy with other kids who had similar problems. Adrian and the other children in his therapy group learned about ADHD and how it affects them. They also learned new skills. Some of these skills helped Adrian to develop greater self-regulation. Adrian also learned social skills so he could enjoy more rewarding relationships with his peers. As part of the IEP, the psychologist developed a plan for Adrian's teachers. This plan helped to create a more structured classroom environment for Adrian. This structured approach made classroom expectations clear, and rewarded positive behavior. The IEP stipulated the teacher should be provided an additional classroom aide. The specially trained aide worked with Adrian to help him learn new skills while limiting behaviors that interfered with other children's learning experiences. The overall goal of the IEP was to provide Adrian the support he needed to develop important academic skills. 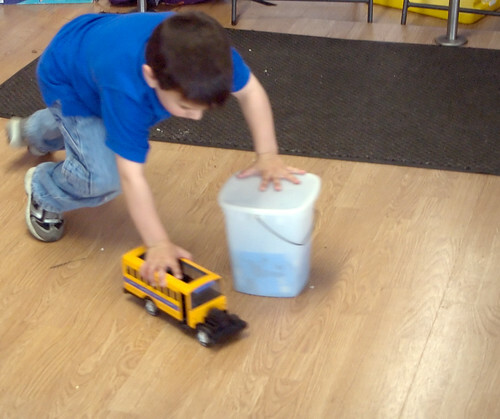 It also helped him to use greater self-control at home, and in the classroom. Working together, Adrian's team helped him to improve his behavior so he could succeed in school and enjoy rewarding relationships. It was a challenging process that required the commitment of many people. At first it was difficult. Nonetheless, with perseverance, the coordinated efforts of everyone involved allowed Adrian to gradually improve. Adrian may continue to face challenges related to ADHD for most of his life. Nonetheless, his ability to function well in different environments enabled him to adopt a positive outlook. This increased his confidence in his ability to overcome challenges. The success of this case study highlights the importance of early diagnosis and treatment with a team approach. Early diagnosis is made possible by recognizing the signs and symptoms. This is covered in the next section.